I want to thank you for reading this and welcome you to WP Blender. As you may have guessed we take care of WordPress websites for site owners and agencies. You can learn more about our packages here. Having owned and operated WordPress websites for our own businesses and for clients over a decade we spotted something. There were lots of designers and agencies who build websites. There were also plenty of hosting companies who host websites. But there was very little help out there for WordPress website owners to keep the show on the road day in day out once the site is built. 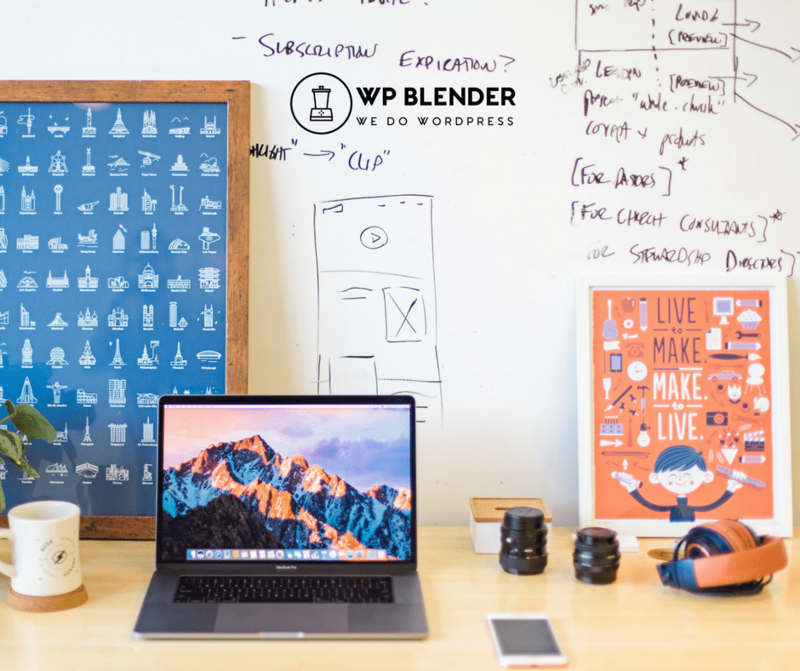 We had a lot of customers asking us about a service like this so we thought carefully about it for quite a while and decided to launch WP Blender. So whats in the Blender? Well we gather together all of the little details (and the big ones) that need to be taken care of on a WordPress website on a regular basis. Those pesky tasks that take up your time or cause your website visitors issues. You know the ones we are talking about. Then we take all of those tasks and drop them into the hands of our team and they “Blend” them into a seamless and awesome service for you and ultimately your website visitors and customers. Can’t I just do take care of my own website? Of course you can. Many people do but as they say in those weight loss ads “results may vary”. As a website and business owner you have a lot on your plate. Meetings, Accounts, Sales, Ordering Stock, Marketing, Managing Staff….. the list is endless! While all this is going on your website is a 24/7 shop window and point of sale for your business, your brand and reference point for your customers. Having your website offline or even not functioning correctly could lead to a loss of sales, customers or even data breach issues. Our team are dedicated experts who will take care of all of these tasks for you. We provide 24/7 security, support and service. We love WordPress and will work around the clock to protect your website, keep on top of updates, backups and assist you with content edits and more. So if you need to concentrate on your business and have us take care of your website open the chat below and ask us how we can help you.